This is a very Unique Opportunity for you to own one or a few of very unique and commemorative items. 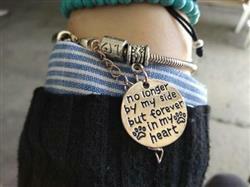 For all the animal lovers that ever had a dog or a cat or any other pet. This is a tribute to those awesome pets that we will miss and cherish forever. They will always have a place in our hearts! Always! It will serve as a heartwarming reminder that love is real it exists and that it lives and always will live within us. These beautiful bracelets are flying off the shelf, grab yours today before we run out of them. Supplies are limited. Length: One size fits most 8" - 10"
Quantities Are Extremely Limited! Order Today! Traditionally worn by military men as identification tags, dog tags have been incorporated as a fashion item as fashion trends continue to evolve. This stainless-steel Dog Tag Necklace with a cute paw print design is not only durable and rust-resilient but also a classic yet trendy piece. Please send us what you want to have written on the tag choose font number from the "Font Selection" picture. Space is limited, so please don't give too many words we will have to abbreviate and remove. If you don't provide any text we will assume that you don't want anything written and we will send it to you as on the picture. The best commemorative jewelry ever created for your pet has got to be this Customized Photo Engraving Silver Pendant Necklaces for Women. Made with 925 Sterling Silver, this durable piece of jewelry is very unique indeed. 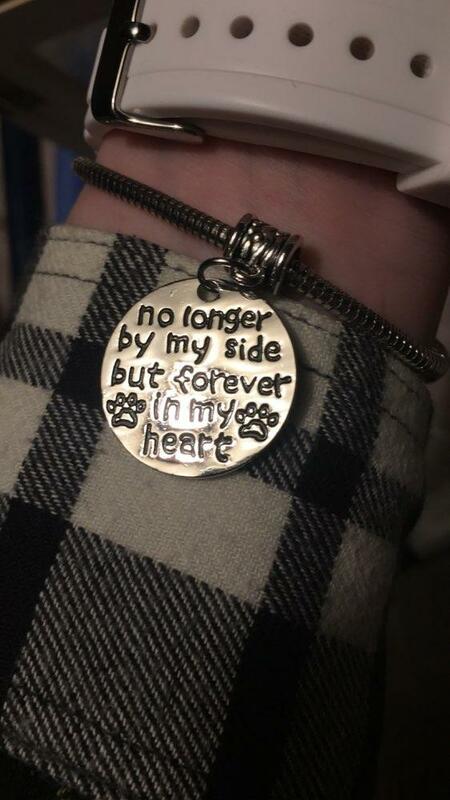 Choose a favorite photo of your pet, submit it to us when placing an order and have it engraved into an elegant and one of a kind pendant necklace. Now you can really show off your love for your pet. A perfect gift for special ladies who deserve something so special. You can also select and option to have all three items!!! No matter what you choose we are sure you will enjoy it! Please Choose What You Would Like!!! We Are All Animal Lovers and We are Here To Help! Meant to order one, but ended up buying all options! 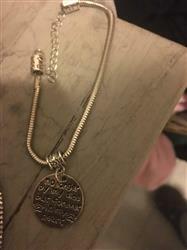 I was meant to buy the bracelet only but when I scrolled dont the page and found out about the dog tag AND the photo engraving pendant necklace, I just can't help myself, so I about all 3! Iknew I made the right choice after receiving my parcel. Thanks a bunch! Thank you for kind words. We are always here :) Here to server our customers and to make them happy! I have nothing but good words to say. First, the items are received on time and customer service answered my questions politely. The bracelet and dog tag arrived safely and in great condition, and I absolutely adore them! The bracelet is gorgeous and the dog tag I gave to my dad. Thank you DogBlabShop! 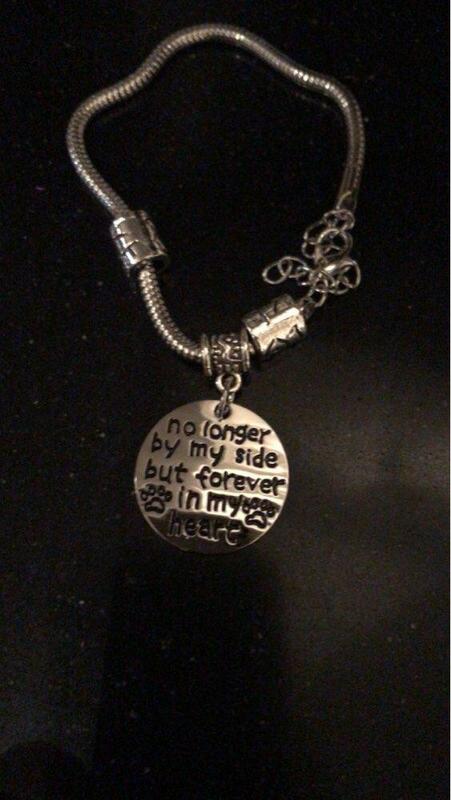 I bought 4 customized pendant necklaces for me and my girls, and we absolutely adore them! They were able tor recreate the images of our pets and have them delivered ahead of schedule. Just a tip, make sure to send a high resolution photo. Will order again soon! Thank you DogBlabShop for exceeding my expectations, as always. 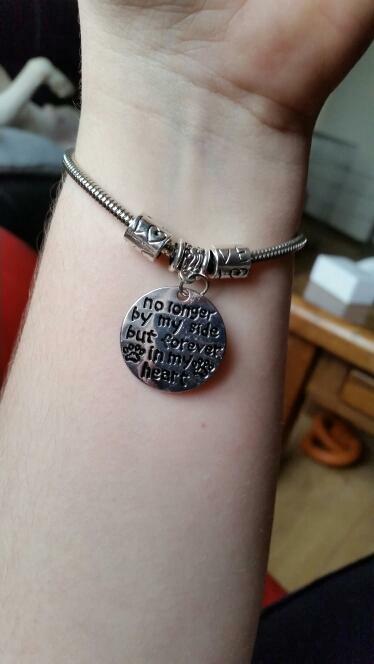 The bracelet was beautiful and meaningful, the delivery was on time and aftersales are awesome. Couldn't ask for more.